Home » Up next: Canoecopia! Ten Tips for Becoming a Better Paddler: How do you balance safety with adventure, and improvement with enjoyment? We’ll present ten tips for managing your risks and your goals. 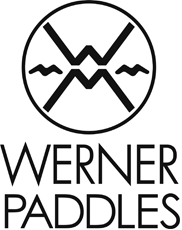 This talk is for all kinds of paddlers of all kinds of craft who want to paddle more, paddle safer and paddle better. Friday at 7:30 p.m. in the Killarney room and Saturday and 9:30 a.m. in the Voyageur room. Assisted Kayak Rescue Workshop: In this interactive, pool-based session, you will break down and reassemble the sea kayak-assisted rescue to make it work for you…without ever getting wet! Come prepared to participate, and you’ll go away with tips for making your assisted rescue safe and effective in all conditions. Saturday at 12:30 p.m. in the swimming pool.